The indri also called the babakoto, is one of the largest living lemurs, with a head-and-body length of about 64–72 cm (25–28 in) and a weight of between 6 to 9.5 kg (13 to 21 lb). It has a black and white coat and maintains an upright posture when climbing or clinging. It is monogamous and lives in small family groups, moving through the canopy, and is purely herbivorous, feeding mainly on leaves but also seeds, fruits, and flowers. The groups are quite vocal, communicating with other groups by singing, roaring and other vocalisations. It is a diurnal tree-dweller related to the sifakas and, like all lemurs, it is native to Madagascar. It is revered by the Madagascan peoples and plays an important part in their myths and legends with various stories in existence accounting for its origin. 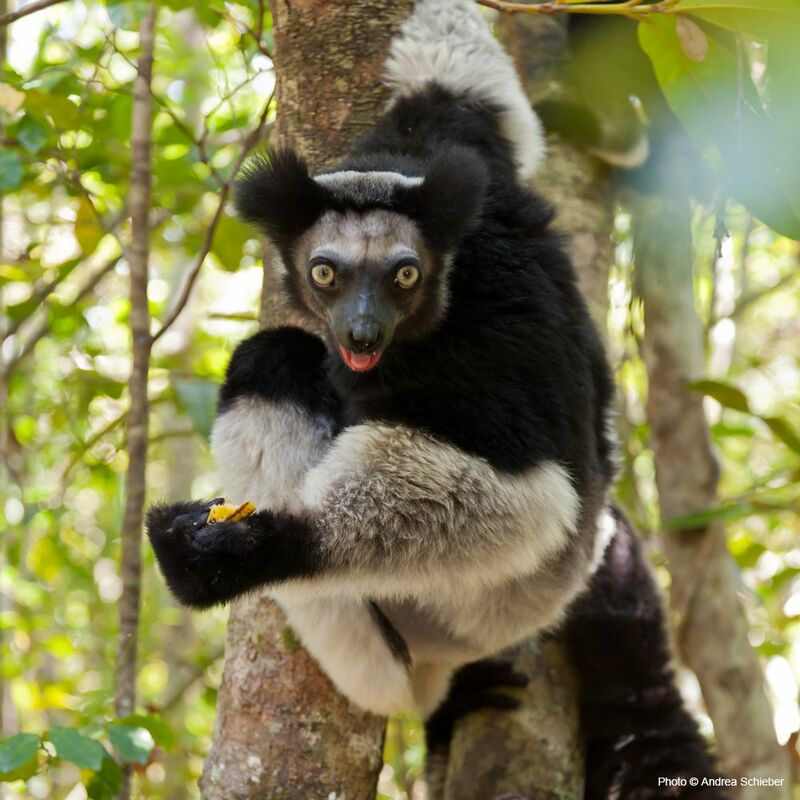 The main threats faced by the indri are habitat destruction and fragmentation due to slash and burn agriculture, fuelwood gathering, and logging. It is also hunted despite taboos against this. The International Union for Conservation of Nature has rated its conservation status as "critically endangered".